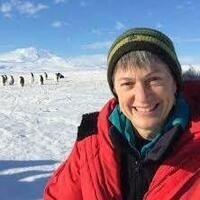 Dr. Kelly Falkner is the Director of the National Science Foundation's Office of Polar Programs. Her work in the position led her NSF colleagues to name the Falkner Glacier, in Victoria Land, Antarctica, after her. Join us for her keynote discussion about her work as a pioneer woman in the field of polar exploration.